The extreme waterfall tailoring on this dress is one of the most beautiful pieces I've seen in a long time. So much so that we are kicking off the week's posts with a post devoted to how to wear it and options of what would work best. 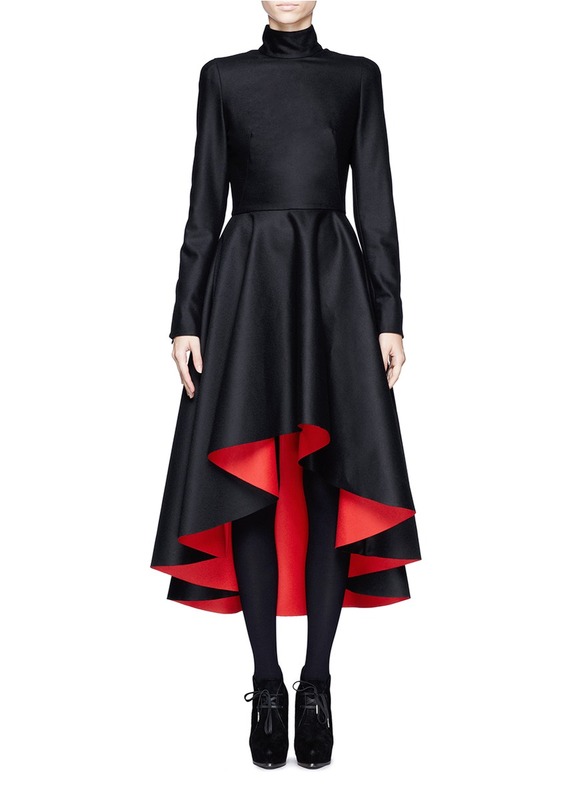 Showcasing a dramatic silhouette inspired by this season's catholic theme, this Alexander McQueen dress features a waterfall dip hem skirt with contrast red lining for a striking finish. Offset the bold interior colour by teaming it with black stockings and shoes. Or red. Either way there is now way to not make a huge statement in this dress. 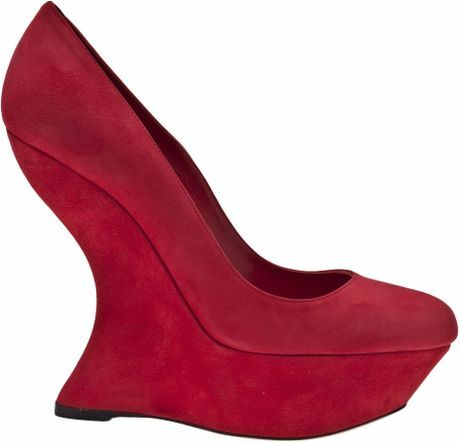 So to the shoes... here are my picks of heels strong enough to stand up to this dress and not be overshadowed.